Paraben-free BAMBOO Smooth Kendi-Intense Moisture Masque combines strengthening pure organic Bamboo Extract with smoothing organic Kendi Oil in a deeply penetrating moisture treatment that nurtures frazzled hair visibly transforming it into strong, sleek, frizz-free strands. Because great hair should be sustainable. Fortifies follicles for stronger, healthier hair. Hair is smoother and more manageable after just one use. Protects color with Color Hold technology. Contains eco-certified ingredients grown responsibly and ethically traded. FREE OF sulfates, sodium chloride, parabens, gluten, TEA, phthalates. After cleansing hair, remove access water and apply to clean, damp hair. Leave on for 3 minutes. Rinse well. Water (Aqua),Cetearyl Alcohol, Elaeis Guineensis (Palm) Oil, Dimethicone, Glycerin, Quaternium-91,Brassicamidopropyl Dimethylamine,Stearic Acid,Cetrimonium Methosulfate,Algae Extract,Foeniculum Vulgare(Fennel) Seed Extract,Saccharomyces Lysate Extract,Daucus Carota Sativa (Carrot) Root Extract,Bambusa Vulgaris Extract,Bambusa Vulgaris (Bamboo) Extract,Bambusa Vulgaris Water,Wasabia Japonica Root Extract,Aleurites Moluccana Seed (Kendi) Oil, Hydrolyzed Rice Protein, Hydrolyzed Soy Protein, Superoxide Dismutase, Saccharomyces/Zinc Ferment,Lactoferrin, Phospholipids, Phytosphingosine, Corn Oligosaccharides, Saccharomyces/Copper Ferment, Ganoderma Lucidum (Mushroom) Tyrosinase, Lentinus Edodes Tyrosinase, Retinyl Palmitate, Copper Lysl Oxidase, Acetyl Methionine, Acetyl Serine, Amino Acyl tRNA Synthetase, Glycine Soja (Soybean) Seed Peroxidase, Silanetriol Melaninate, Polyquaternium-10, Bromelain, Papain, Butyl Methoxydibenzoylmethane, Silk Amino Acids, Trimethylsiloxyamodimethicone, Trideceth-12, C11-15 Pareth-7, C12-16 Pareth-9, Polyquaternium-87, PanthenolPanthenyl Ethyl Ether, Polyquaternium-37, PPG-1 Trideceth-6, Propylene Glycol Dicaprylate/Dicaprate, Cetyl Esters, Guar Hydroxypropyltrimonium Chloride, Citric Acid, Phenoxyethanol, DMDM Hydantoin, Iodopropynyl Butylcarbamate, Linalool, Butylphenyl Methylpropional, Fragrance (Parfum). 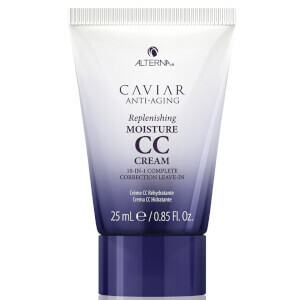 This masque is a great deep conditioner and made my hair soft. If you have damaged hair and want to bring it back to life, you should use this product.